I am more than happy to reveal the title for the fifth Winston & Baum novel. Book five is titled Winston & Baum and the Witch of Soulderbrook Manor. I am very excited to bring this next volume to you and hope that you will find it a good addition to the series. It should be available on Amazon by the end of July/first of August. Scares that Care weekend (August 3-5) will be the first opportunity people have to get autographed copies of this book directly from me, but we are hoping to have a few more signings for those of you who have been faithful to the exterminators of the strange and weird. We also have some very fun things in store that I will share once they are completed. If you missed the cover reveal on Facebook, scroll down to view it. A great big thanks to Caralyn Edwards-Tucker, my cover artist and partner in crime. Please keep checking back ladies and gentlemen as I keep you up to date on where I’ll be and when this volume is available. We’ve finally put the final touches on the revision of the 2nd Winston & Baum adventure: Winston & Baum and the 7 Mummies of Sekhmet. My cover artist has begun creating the cover for this book. 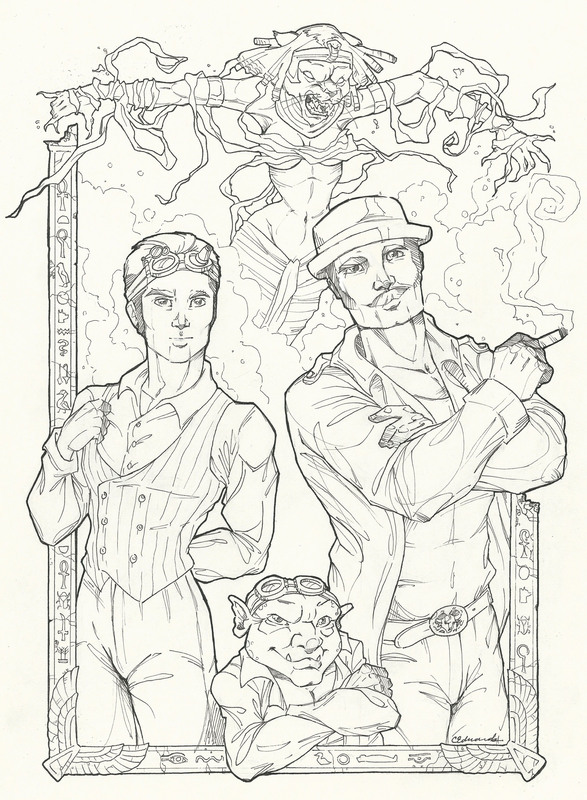 Below is the inked cover, more updates as it progresses toward completion. Thanks for reading and keep checking back for more updates.